It’s my first weekend with my bald head which merits an outing somewhere cool and trendy in its honour. I called my dear friend Frankie thinking we could head to a funky haunt in Camden together but he was already out with friends in Soho in the Coach and Horses pub and invited me to come along. 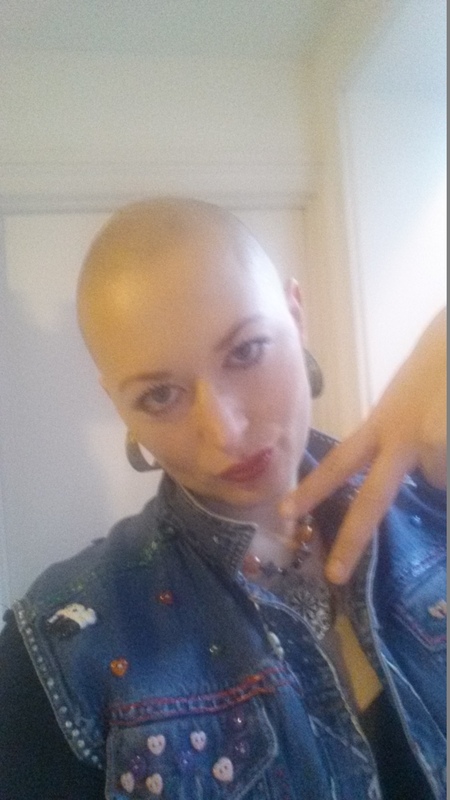 Excited I have a venue to match the head, I decided on the following look: “Amber Rose meets Soft Punk”. All I need to compliment the look is attitude and a pop of red lipstick! To embrace the chilly winter cold, it can only mean one look….the layered London Look! I throw on my trusty leather satchel I picked up in Bolivia for a tenner and I’m ready to go. Once I’m out of the cold, I take off my hat on the tube and I get curious looks from my fellow passengers. It’s great to keep people second guessing. Upon meeting Frankie’s friends at the pub who I have never met before, they thought that my shaved head was part of my image. 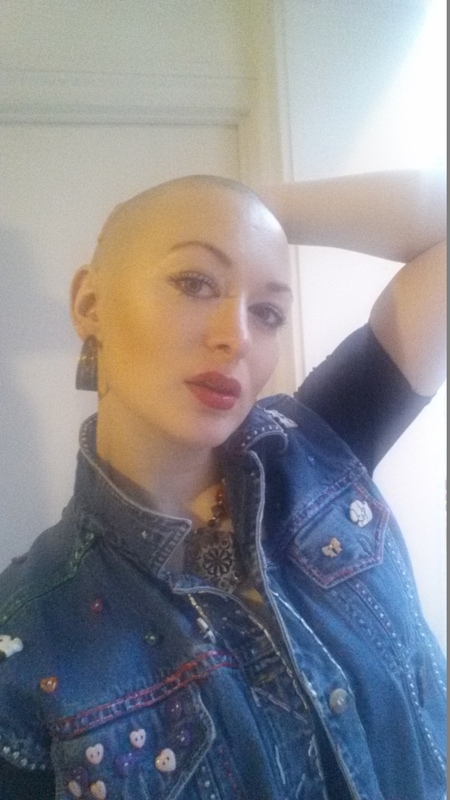 My head is one big edgy accessory that now needs its own style to match!